Some colourful inspiration for our Rag Dolls | Crowlas & Ludgvan W.I. ← More from the Royal Cornwall Show! 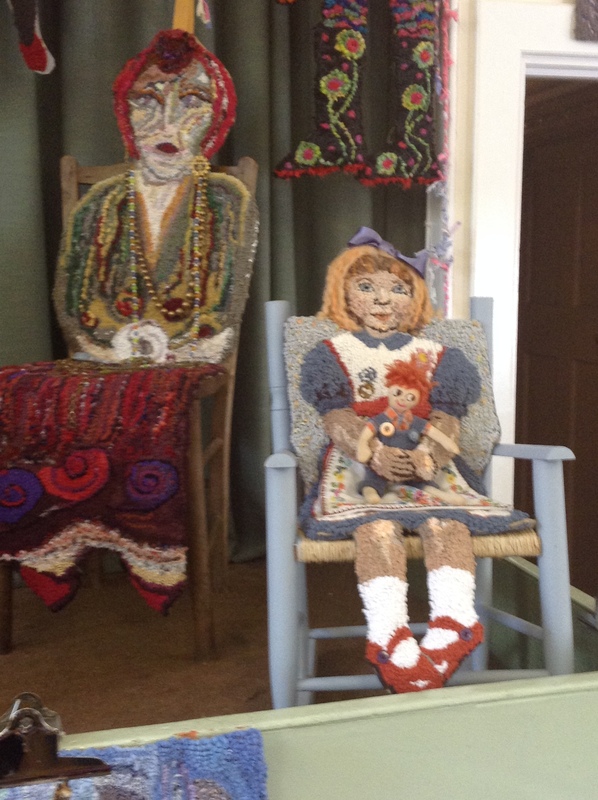 On Saturday, Sue Knights and Jane Twose attended a rag rugging exhibition at the St Just W.I. Hall put on by ‘We Are Not Doormats’. Jane reported that it all looked like an explosion of colour! There was some amazing work displayed, all created with recycled materials. This year’s theme was the covering of old chairs. Both Sue and Jane found it all really inspiring … not just the art, but also the coffee and cake! Of course, we’re now going to expect great things from our Crowlas & Ludgvan Rag Dolls! This entry was posted in Uncategorized and tagged community events, rag rugs. Bookmark the permalink.